We at Apache have a whole gamut of the fashion spectrum for this Easter Sunday, but since the good weather has timed out and we’ve overdosed on too many chocolate eggs, we thought we’d focus on something a little more ‘comfortable’ for this bank holiday weekend. It’s cosy, it’s versatile, and it’s a wardrobe staple for any self-respecting man …The humble sweatshirt allows you to layer up for spring’s indecisive forecast, and cosy-up for the long weekends on the sofa. Either way, a sweater will never make your outfit look tired. The ever popular collegiate style was originally inspired from the All-American college jock. By layering up this Classic Crew Neck Sweat by Fred Perry with a simple tee, your outfit will get just enough casual hit to look sporty. Pair the look with a pair of slim-fit jeans and smart Fred Perry shoes, and you’re ready for a night out. Now that’s versatile! Be sure to check out the Fred Perry jumper in Dark Carbon and Summer Blue Marl. Each of the sweatshirts feature an embroidered Fred Perry Laurel Wreath emblem, finished off with a ribbed neck, cuffs and hem. You’re tired, potentially hung-over and just want to watch the game … This is where the humble sweatshirt comes into its own. 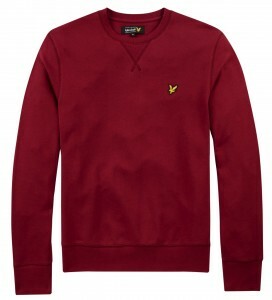 The Crew Neck Core Cotton Sweatshirt by Lyle and Scott allows for maximum comfort with its super soft cotton interior. Most importantly, it allows you to retain the last modicum of style when lacking sartorial motivation. If at any time you need to leave the house and show yourself in public, then this sweat will have you prepared, looking effortlessly cool and sharp. This Lyle and Scott jumper features the iconic yellow eagle Lyle and Scott vintage branding on the chest and comes in a range of colour-ways including, Berry, Light Grey Marl and New Navy. 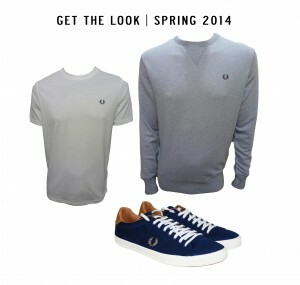 Shop the Fred Perry and Lyle & Scott clothing range at Apache Online, UK.